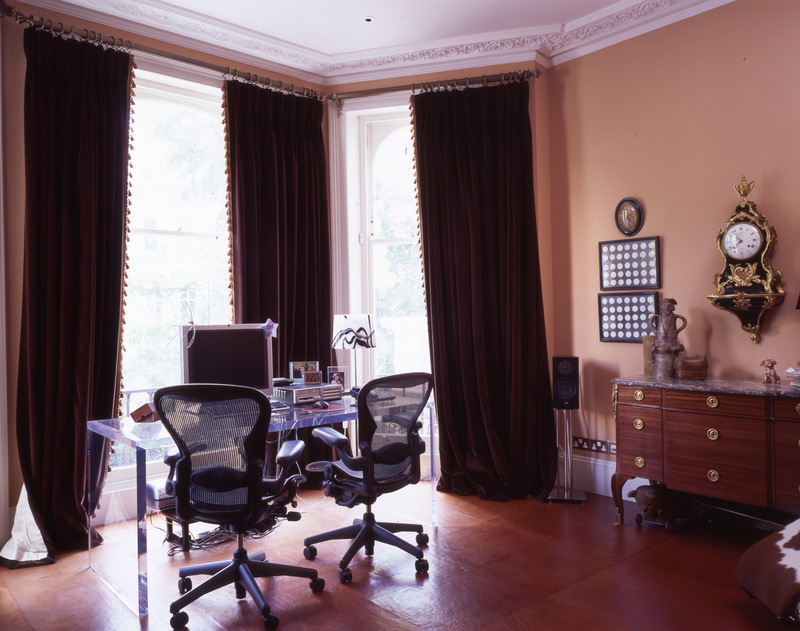 Restoration of one of the finest Grade II listed houses in Notting Hill, West London. Years of neglect and extensive dry rot had caused major damage to one of the largest and finest Grade II Listed houses in Notting Hill in West London. The French classical interiors had been divided into flats, and in returning the building to a single double-fronted house, we recreated the splendour of the original interiors, working with traditional craftsmen and fine decoration specialists, demonstrating our empathy for historic buildings. Paintwork is patinated so that it does not appear over-restored and gold leaf is applied with restraint to the superb plaster cornices. We succeeded in negotiating the addition of a rear extension, together with significant fabric repairs and structural alterations. We used traditional techniques and materials where appropriate and produced fabulous bespoke joinery as part of a comprehensive internal and external refurbishment.